Showing up alongside women affected by homelessness. 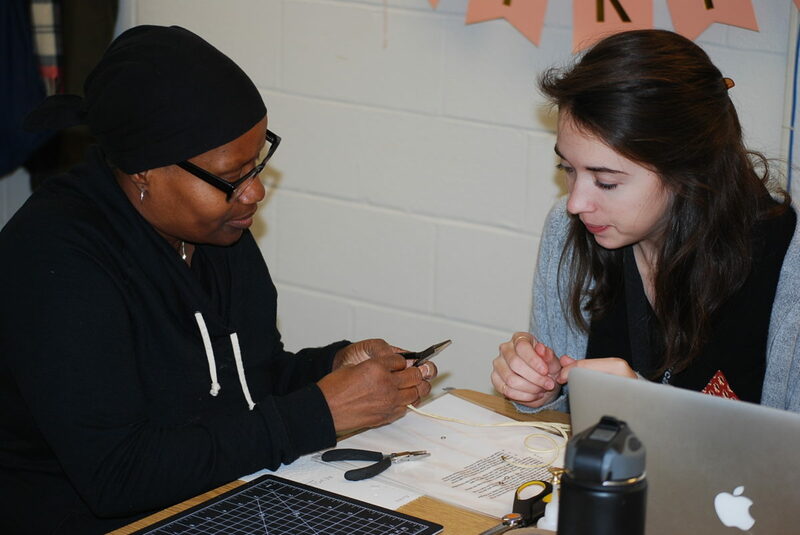 Revolution Lancaster provides supportive community and supplemental income to women affected by homelessness or facing barriers through weekly jewelry workshops. We came from humble beginnings; our founders simply showed up at a women’s emergency shelter at our local YWCA in 2014. They would braid hair, paint nails and listen. Many of the women at the shelter mentioned they had not had positive physical touch in a long time. It became apparent very quickly that as well as housing, food and other basic needs, these women needed community. We saw the huge impact that showing up for our neighbors had. Not just for the women at the shelter, but for us as well, recognizing we are all women who experience joy, pain and everything in between. Regardless of status, we all have inherent worth. From volunteering at the shelter, and seeing the need for community and transitional employment, we grew into a non-profit social enterprise offering two programs every Wednesday. In 2018, Over $5,000 was paid to 12 Makers with more than 2,000 pieces of jewelry made. Each piece of jewelry reflects the inherent worth women possess. We train our Makers, the women in our program, to craft jewelry beautifully. We show up every Wednesday at the YWCA to craft jewelry and be in positive community with women who are living here. We seek to build bridges by being a part of others’ restorative journey. We laugh, converse, listen and create. Creating is such a huge part of allowing for authentic conversations to happen.